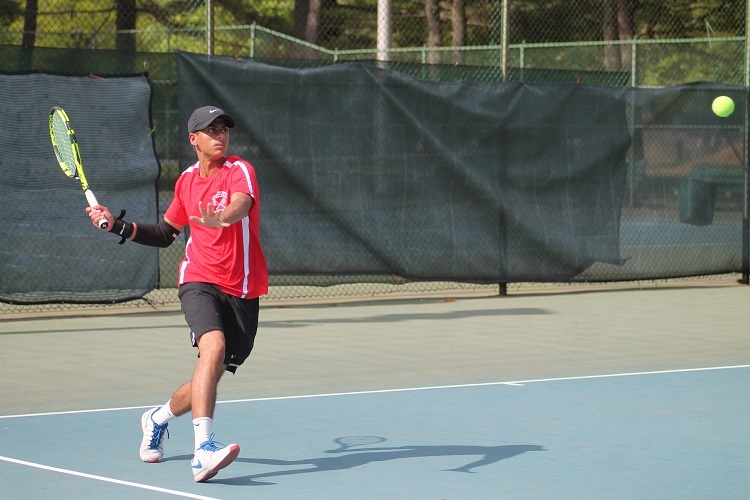 For the second straight year, the title of Nassau County Doubles Champion belongs to Syosset’s Preet Rajpal and Eli Grossman. 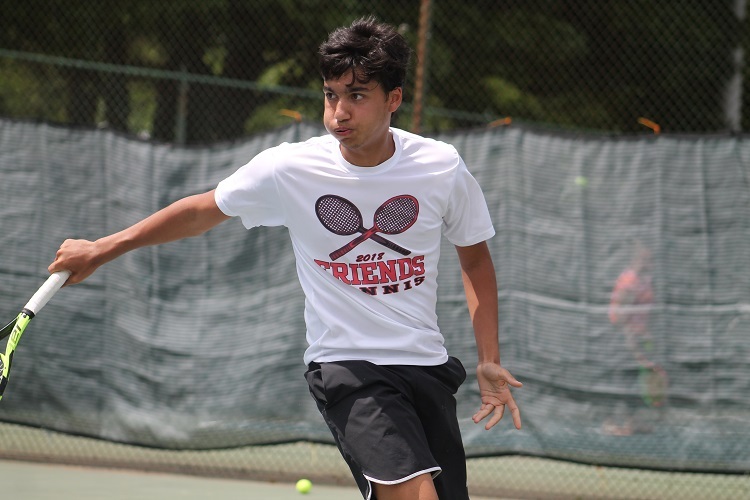 The senior duo defended their county title with a 7-6(3), 6-2 over Friends Academy’s Alexander Roti and Samir Singh on a long and hot Sunday afternoon at Eisenhower Park in East Meadow, N.Y. The tournament began the weekend before, but a long week of rain delayed the conclusion of the draw until this past weekend. Grossman and Rajpal did not let the constant delays and the long periods of waiting around effect their play though. 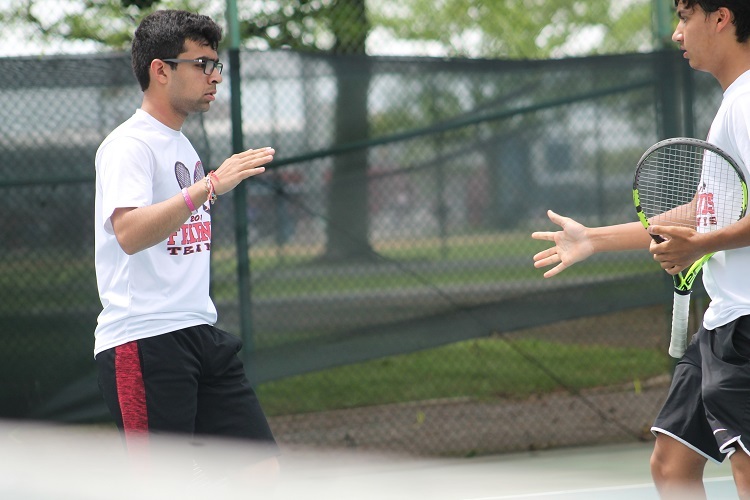 The pair had to wait around after their semifinal win over Plainview’s Nicholas DeChiaro and Sean Cohen, as the other semifinal went the full three-sets, with Roti and Singh outlasting the Syosset duo of Zach Chan and Justin Oresky 3-6, 6-2, 6-4. In the final, the first set was extremely close as the two teams exchanged early breaks, and the set would eventually head into a decisive tiebreak. 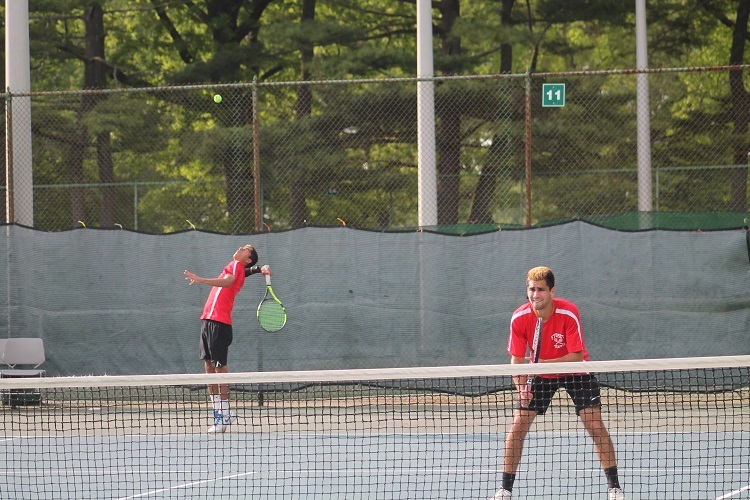 Grossman and Rajpal outplayed Singh and Roti in the tiebreak, and then began to pull away in the second set for the straight-set victory. 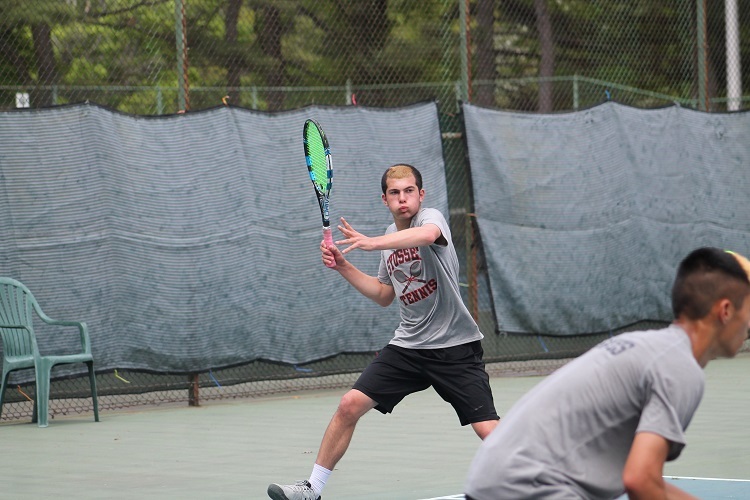 “I think the fact that they played a grueling three-set match right before the final, they started to get tired in that second set,” said Grossman. The back-to-back county champions wrap up a fantastic career in Nassau County play. 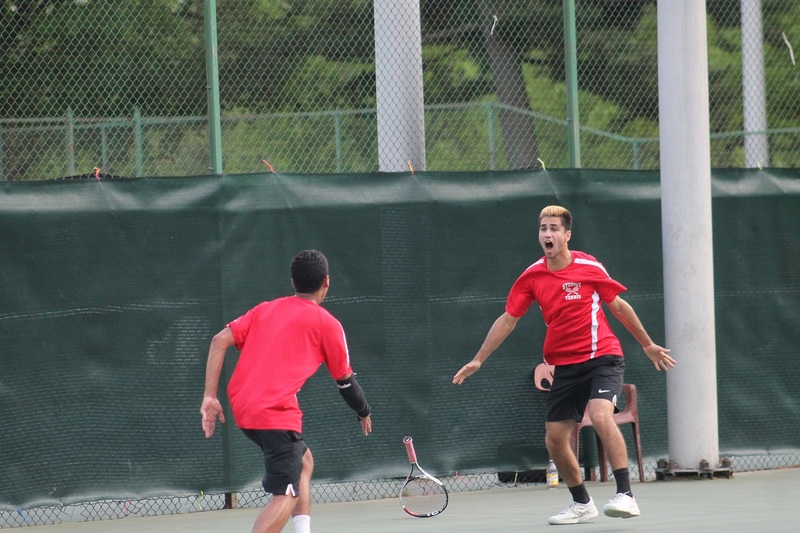 Both have been competing for Syosset’s varsity team for the last five years, coming through the ranks together before being named co-captains ahead of this season. “I would not have gone on this journey with anyone else,” Rajpal said. 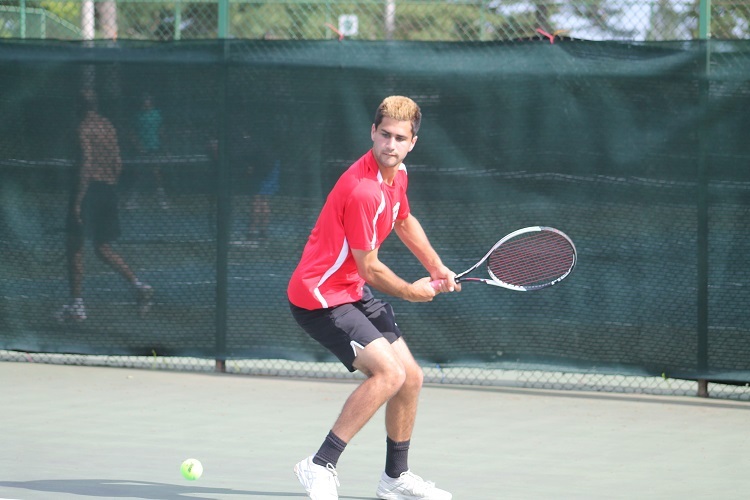 Syosset head coach Shai Fisher has watched his two players grow up and develop over the last five years, and has seen first-hand their chemistry and how it has led to their success. 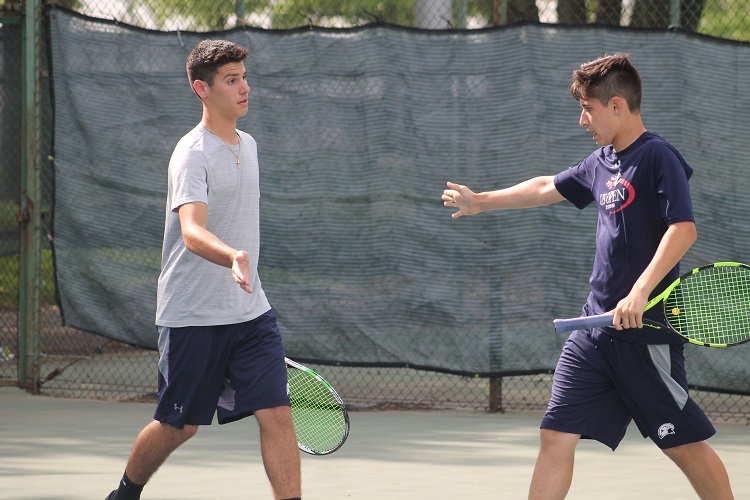 The duo now looks ahead to the New York State Public High School Athletic Association (NYSPHSAA) tournament, where they have a good chance of being named the draw’s top-seed. 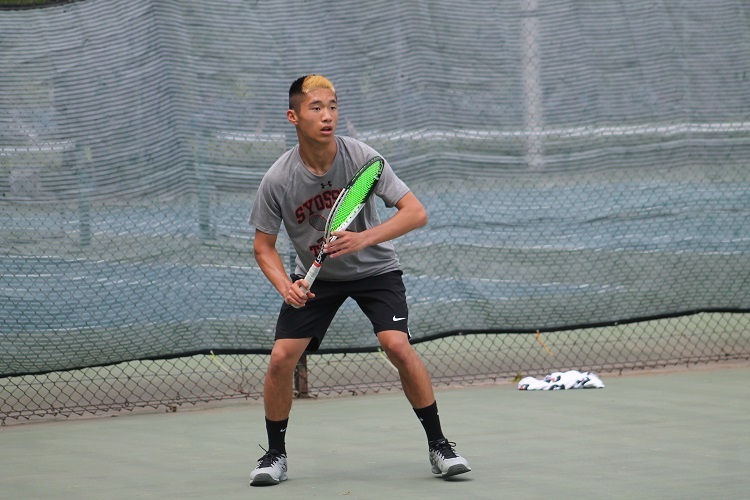 Roti and Singh also qualify for the state tournament by finishing up as county runner-ups, and Chan and Oresky booked their spot in at states with a 4-6, 6-1, 6-4 victory over DeChiaro and Cohen in the third-place match.